Remind Your Baby of Her Happy Place…the Womb! Babies calm easily—and sleep best—when we give them a virutal 4th trimester, by lavishing them with womb-like rhythms throughout the day and night. That’s because all babies are born with a special calming reflex that flips on when we mimic the womb with 5 precise steps, called the 5 S’s (swaddling, side/stomach position, shushing, swinging and sucking). Safety Tip: The side position is only for calming your baby in your arms. Babies should always sleep on the back, the only safe position. Want your baby to sleep well at night and take nice, long naps? Then never skip out on swaddling. It prevents flailing of the arms—a top reason babies accidentally wake themselves. Some babies fight the swaddle at first, but don’t let this fool you into thinking they don’t like it. Swaddling reminds babies of the snug security of the womb. Once your wiggly worm is nicely wrapped, layer in the other S’s and she’ll soon be blissfully calm and ready to sleep. Safety Tip: Be sure your swaddle is hip-safe…and stop swaddling once your baby can roll over. Rock & Shush…and Rock & Shush Some More! I suggest using white noise for both naps and nights, until at least your baby’s first birthday. In the womb, sound is constant—and very loud…like a vacuum cleaner, 24/7! So don’t be afraid to turn up the volume to about a shower level. And, your baby is gently rocking all day/all night in the womb with every breathe you take…and jiggling with every step you make. Continuous, rhythmic motion brings on sleep—think how easy it is for you to doze off in a car or hammock…or on a plane or train! Safety Tip: Doctors warn against using swings or rockers for sleep, because a baby’s heavy head can fall forward…and cause suffocation. 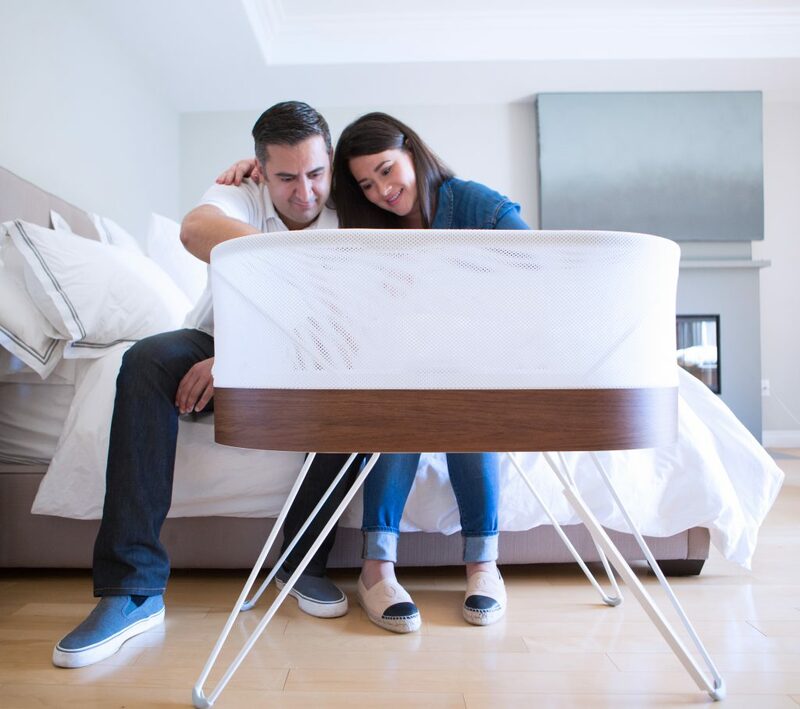 So, only rock your sleeping baby in your arms…or a smart sleeper, like SNOO, which provides safe motion on a flat surface.